And here is one coat over a black. Sorry for the missing finger... I gouged out the polish off my pinky. 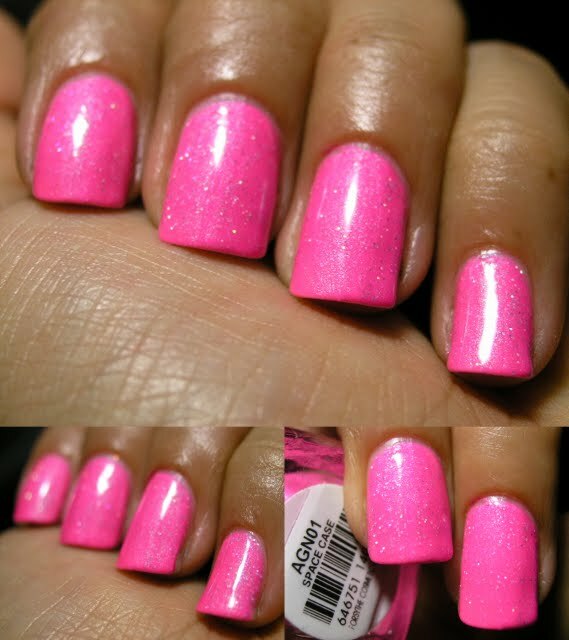 nails Inc describes this color as: Soft pink coral nail polish. 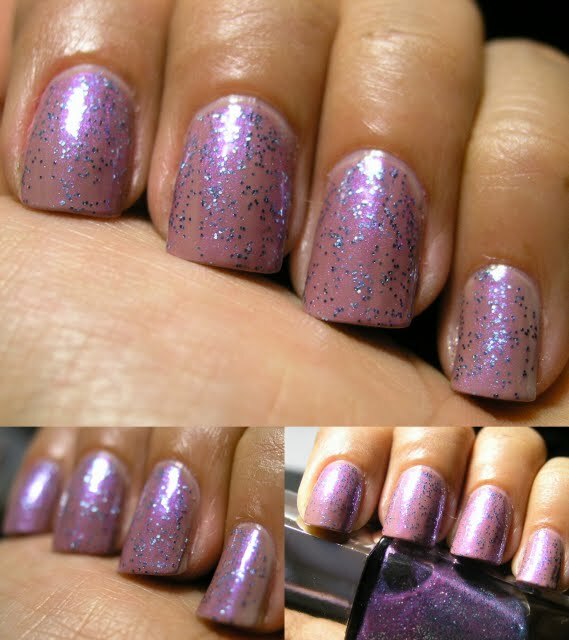 All of the Nails Inc swatches that I am going to show you in the next couple of weeks are between 2-3 coats, with a few exceptions, which I will point out. 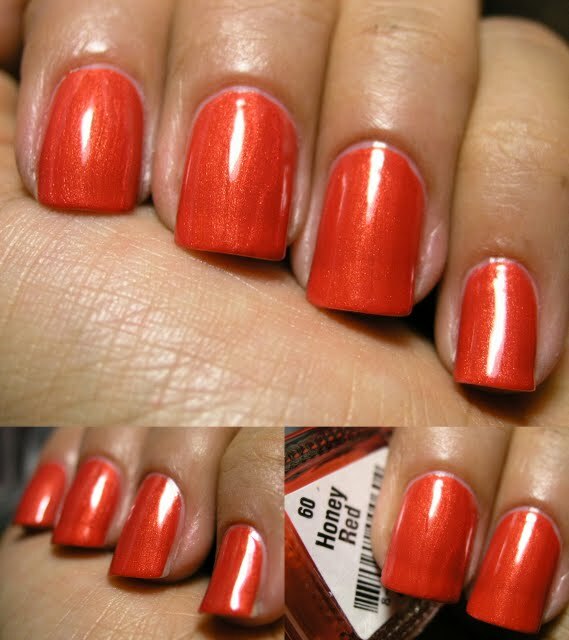 Although these colors might not be unique in the nail polish world, the quality of the Nails Inc formula makes them one of my favorite brands. So much so that I have bought many of them paying the going rate in the UK (which is 11 pounds!). 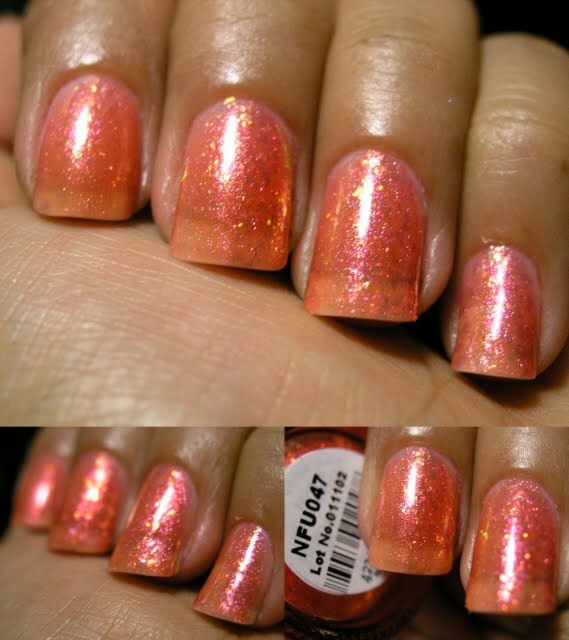 Nails Inc even made an appearance in New York City for the 2009 Holiday Season when they were available for a very limited time at Henry Bendel (here they were on sale at $16 each). 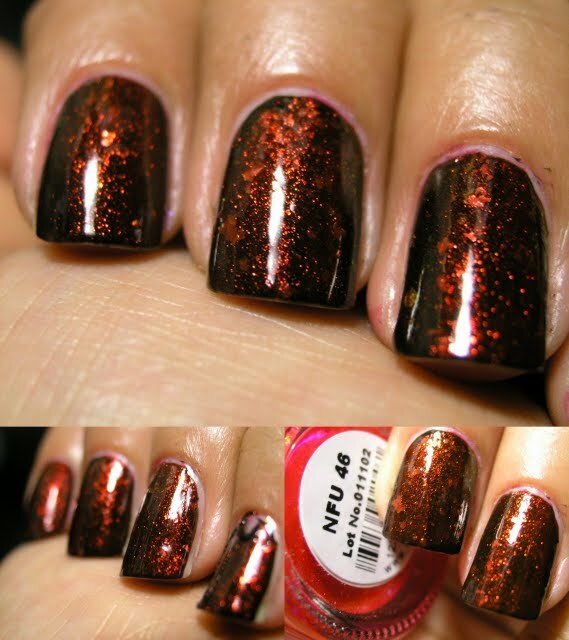 Just imagine cremes that are SO pigmented that you only need ONE coat... if you are careful. This will explain why I need to get all the other colors that I don't have from Sephora! They are an absolute steal at $9.50 each. 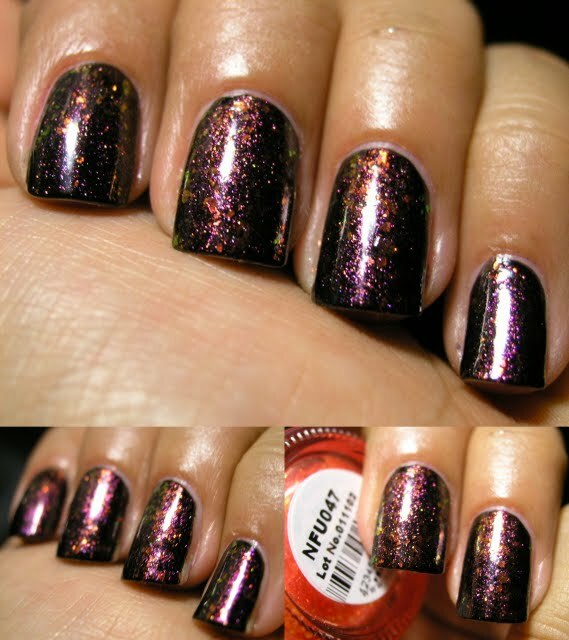 And I can't wait to get them all, so I may swatch them for you. 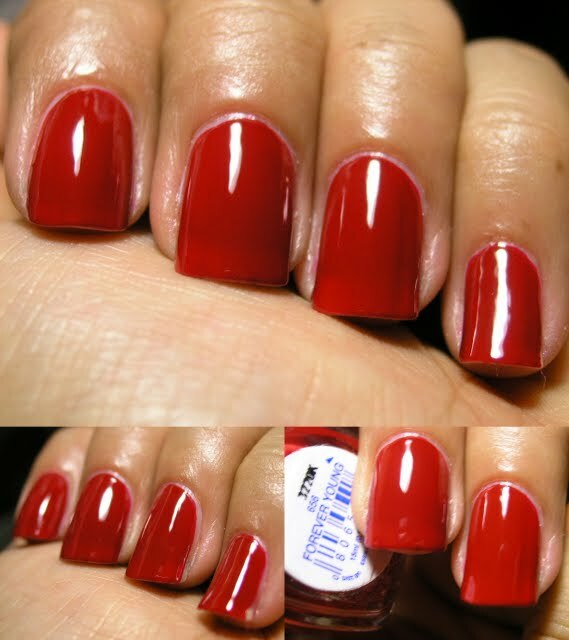 The OPI Suede collection are my go-to polishes when I am in a rush, they dry in a flash, and become even better with a top coat! 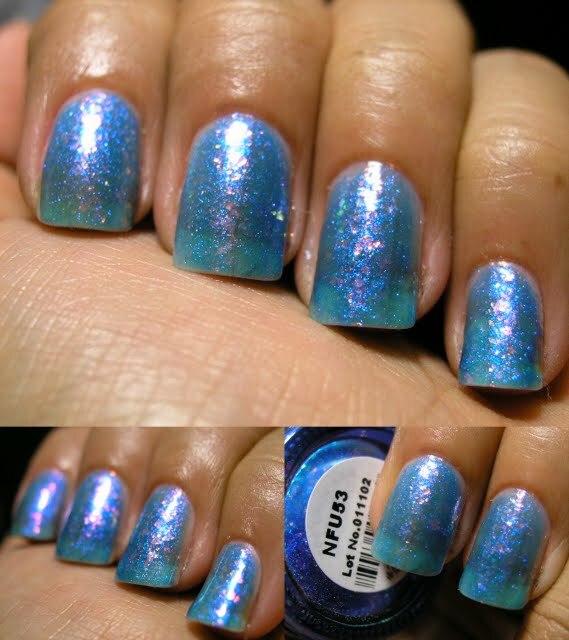 I wanted to show you once again the Nails Inc colors that I have previously swatched as they are currently available in the United States (Woo Hoo!!!) at http://www.sephora.com/. 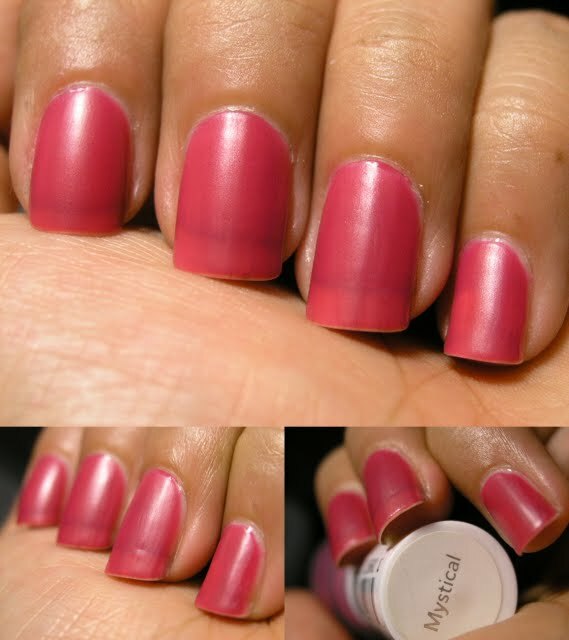 I love the Nails Inc formula and color range! So much so that I have a collection of over 70 of them! Of these 3 I will have to reswatch South Molton Street and Saville Row. I just wanted to give you a heads up, that Nails Inc swatches will pop up everyday until I show you all the colors that I have which are available at Sephora. BUT... 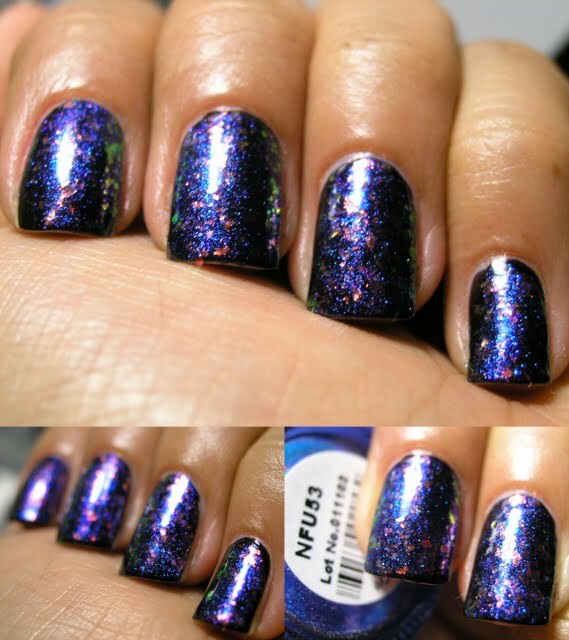 I wanted to know if you would be interested in seeing ALL the Nails Inc colors I have? Even if they will not be available in the USA? OMG!!! Look at the email I just got! I LOVE THOSE BOOKS!!! I NEED THESE!!! I know the colors are not unique... but look at those bottles! 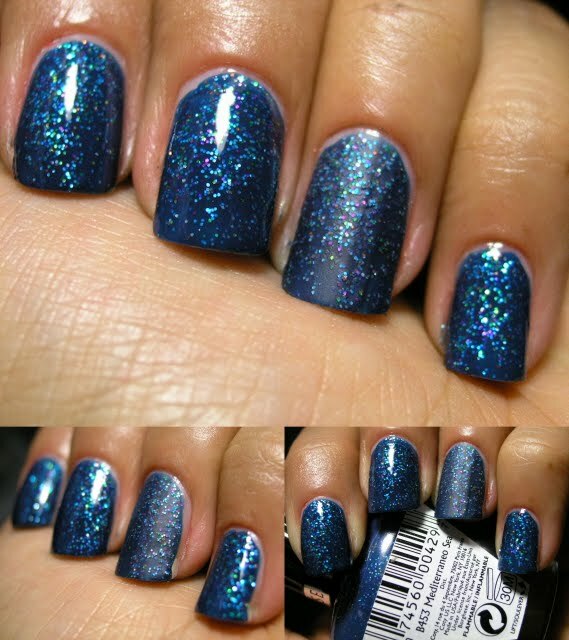 The flakies are similar to 47, but look at the blue shimmer that comes through over the black! I need to find a purple to match the base. 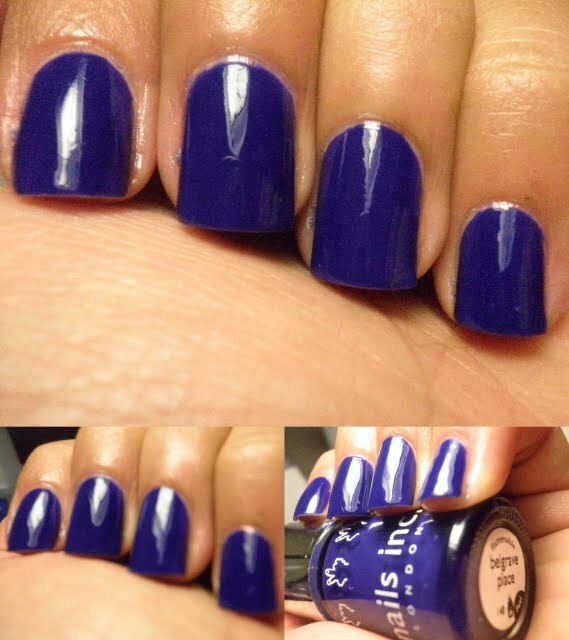 This is 3 coats, not my type of color at all! 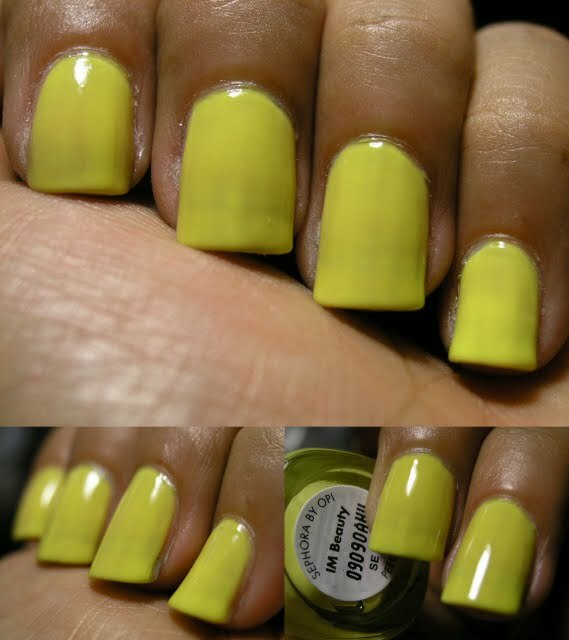 I picked this color to franken with... but had to swatch before muddling the color. Could you please give me your thoughts on it? It is a work in progress... but I just made this one and wanted to try it out. Thank you in advance for any input you may provide! This is 2 coats, it has a rubbery finish. 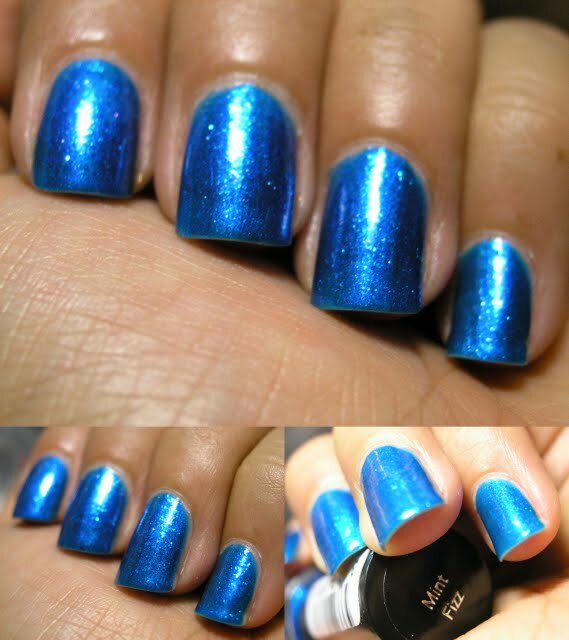 Which looks amazing with a top coat, although this is not an original color in the least. 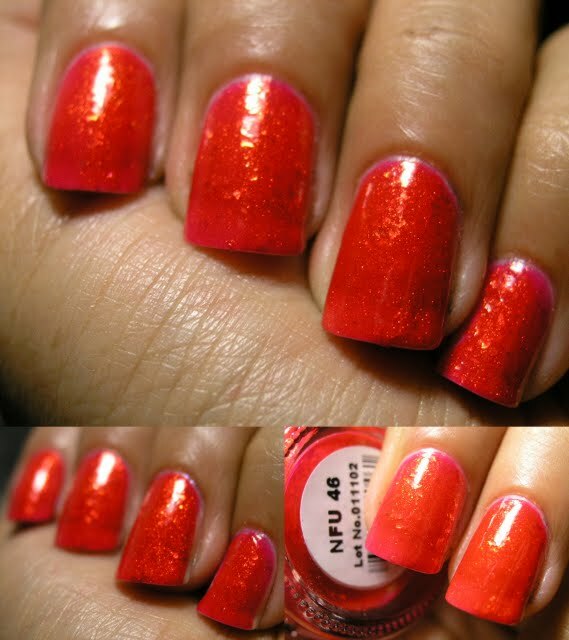 Here it is with a layer of NFU 083, a swatch of this is coming in the future! 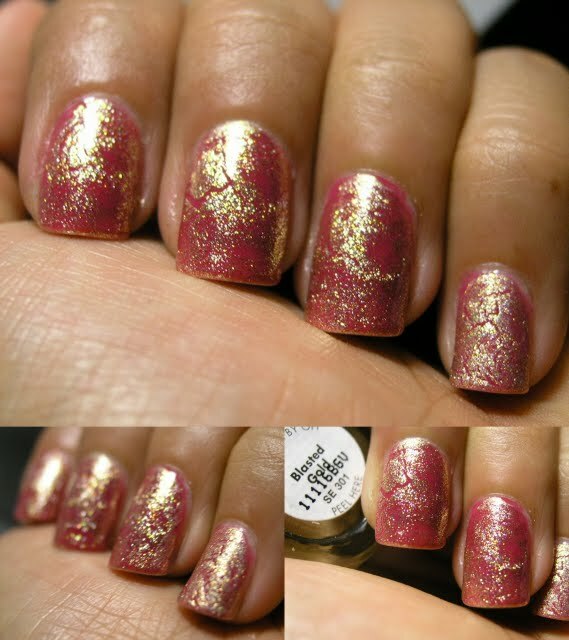 This is 2 coats, I picked this up at a blog sale... and I wish I could find it in real life. The formulation on these colors is very impressive, they go on so smooth! If you guys know of somewhere that I could pick them up online please share! I need ot get more. 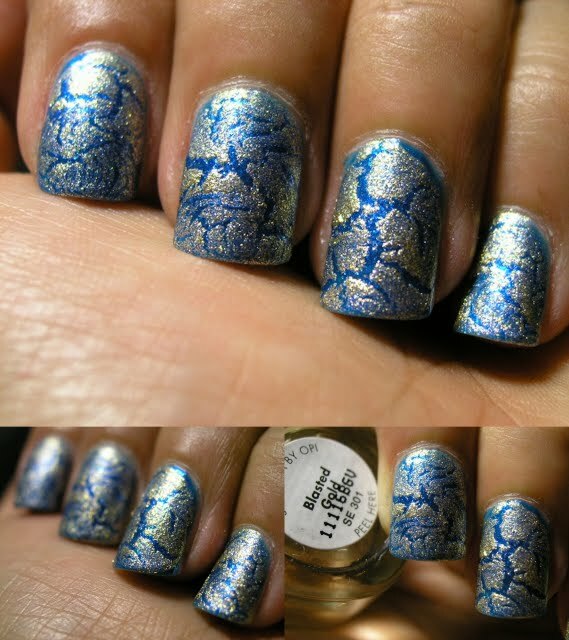 FINALLY a metallic crackle that CRACKS. 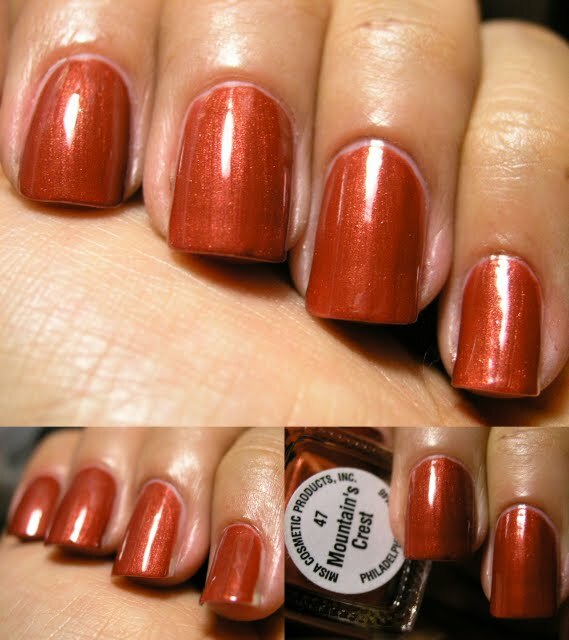 This is 3 coats, an orange leaning red. Here is the last Just Tinted that I have to show you. 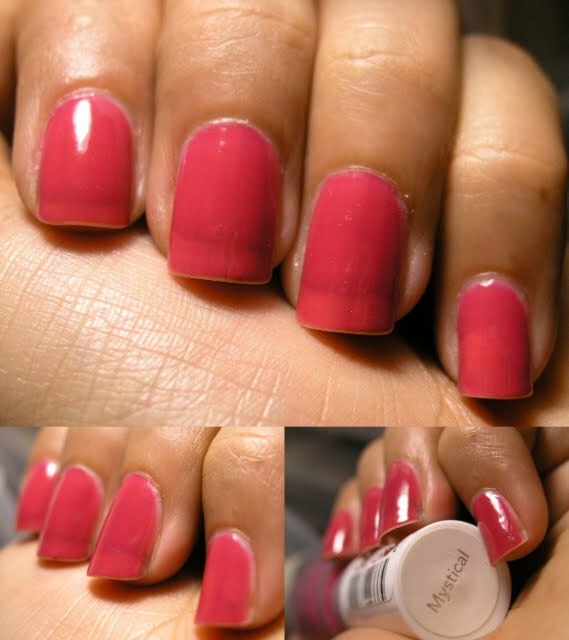 I really like the jelly feel of them, especially with a top coat!